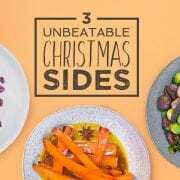 It’s nearly time to start thinking about how to decorate your home to give it that Christmassy feeling. Whether it’s real or fake, getting a tree of sorts if the big win, but after that? 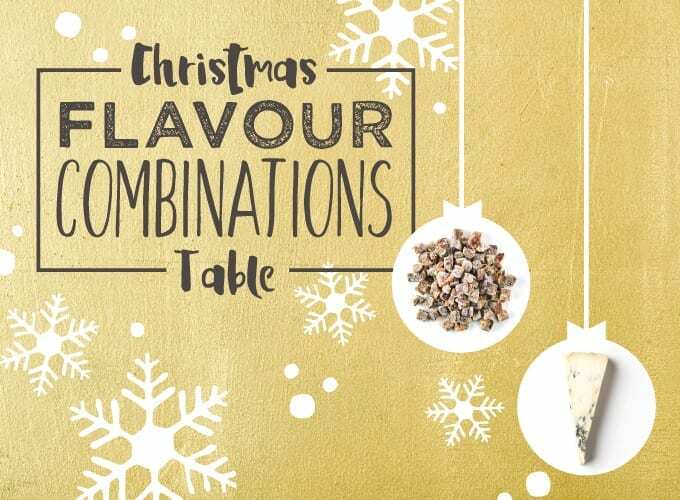 If you’re not looking forward to the prospect of rummaging through cardboard boxes in the garage in search of last year’s tinsel, try this insanely easy trick to make sure that whenever someone has a drink this Christmas, it feels properly festive. 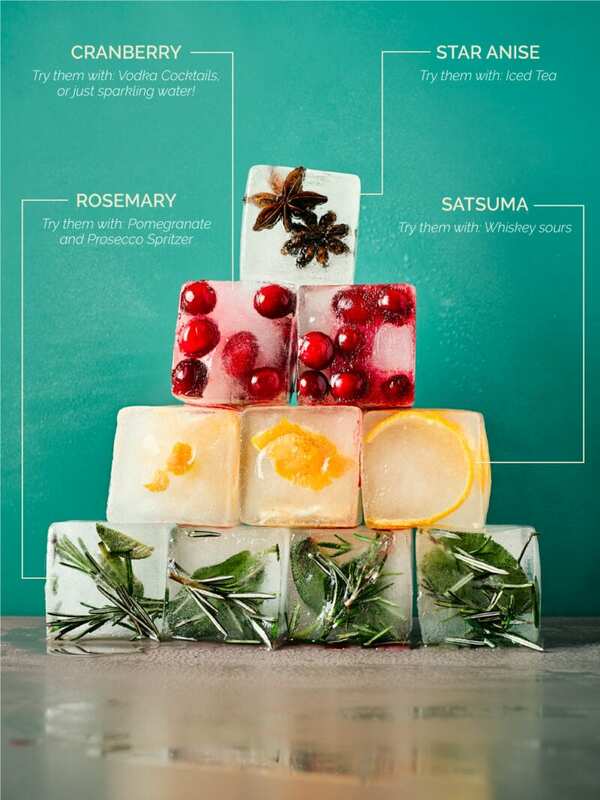 Pop a few Christmassy ingredients into each cube slot in an ice cube tray – we’ve used rosemary & sage, cranberries, star anise and satsuma segments in ours – then top with water and freeze. 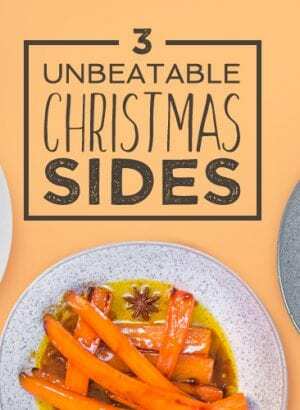 It’s as simple as that, and they look great! 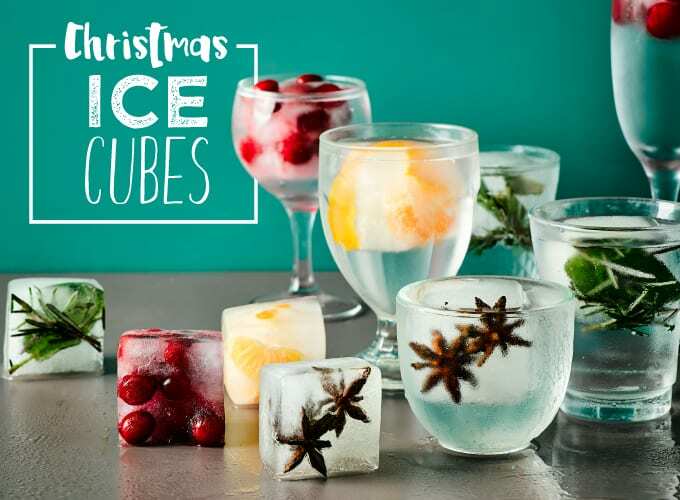 Adding a little something extra into your ice cubes isn’t just for Christmas – these really are so easy that there’s no reason why you can’t do this all year round, using seasonal ingredients. Slices of strawberries in ice always look amazing – check out our Gin & Tonic, Basil, Lime and Strawberry Popsicles and see for yourself!